Children are discovering the many and varied benefits of outdoor learning thanks to a partnership project being developed in schools across Devon. The Naturally Healthy Devon Schools (NHDS) initiative aims to encourage school aged children to regularly interact with Devon’s natural environment in order to improve their health and wellbeing. It is developing ways to embed learning in the natural environment as part of the regular curriculum with 21 schools and teachers. The project is being supported by the Campaign for the Protection of Rural England (CPRE) Devon, the Devon Education for Sustainability Working Group (DESWG), Natural England and the University of Plymouth under the umbrella of the Devon Local Nature Partnership. "CPRE Devon is pleased to have been able to provide funding for the Naturally Healthy Devon Schools project. One of our aims is to help children to develop an interest and appreciation of the countryside, and to encourage children to be outdoors and to value the outdoor environment. The achievements of the project so far are very positive." The NHDS extends the work of the Natural Connections Demonstration Project, which was managed by the University of Plymouth with funding from Defra, Natural England and Historic England. It ran between 2012-2016 working with schools in Bristol, Cornwall, Torbay and Plymouth to develop their curriculum learning outdoors. Academics from the University have also published several high-profile reports in recent months promoting the benefits of outdoor learning, including Student Outcomes and Natural Schooling, which argued that outdoor learning should be woven within school curricula globally, and Transforming Outdoor Learning in Schools, a guide for teachers, based on the Natural Connections project findings. 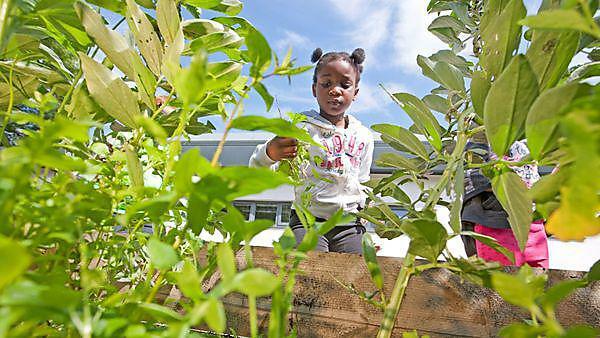 It is a useful resource that summarises evidence of positive impacts on children and teachers, and explains how 125 Natural Connections schools embedded outdoor learning into their regular practice.